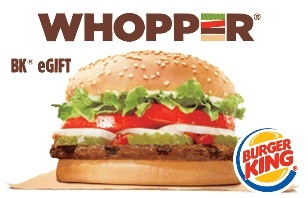 Buy Burger King Happy Holidays gift cards from Kroger and look out for regular rewards and special promotions – including fuel points. There is also currently a digital coupon for 4X fuel points on select GCs. Limit of one coupon per household. Exp 09/29/2018. If you click the fuel points banner on this page, you’ll see the BK offer listed as a qualifying eGC.